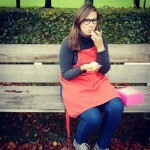 Our 25th “Follow them Friday” features Sarah’s Kitchen blogging in English. I started blogging on the 21st February 2014. That was the day I decided to start blogging about my food. I don’t know why but I just felt like it was time to do so. I must say I still enjoy it every single day! I actually never really thought about a name. My friends and family always said “Sarah’s Kitchen” when I made things. I liked it and so that was the name for my blog. I don’t regret my choice but I know it’s not that original. Oh and the ‘little’ in between? That’s because ‘Sarah’s Kitchen’ exists multiple times and my kitchen is in fact very ‘little’. But I always shorten it to Sarah’s Kitchen. I like both. I can really enjoy watching a movie with my boyfriend and some delicious french fries to go with it. But I like to eat out with friends or family as well. I love cozy restaurants but I do like the fancy and modern ones too! 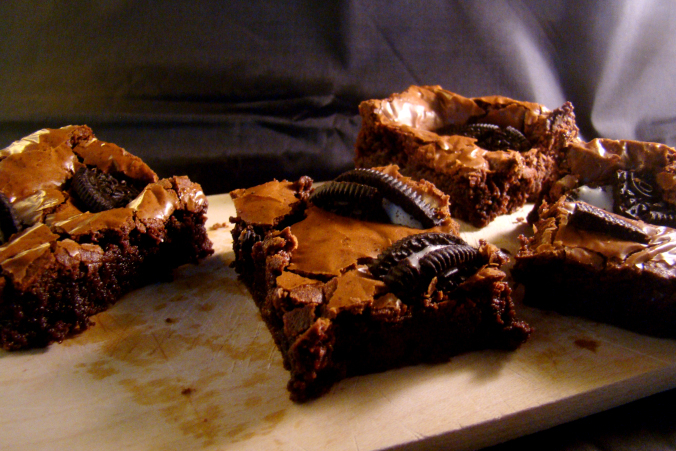 My Brownies! My family never asks to make them, they just expect me to. I hardly have any left. French fries! Without a doubt! This really is a though question since I’m a real sweet tooth. If I really had to pick one, it would be crème brûlée. I guess that would be my bread (‘Roggeverdommeke’). Not that it wasn’t tasty. In fact it really really was a delicious bread! But it looked like crap. The colour of the bread was almost exactly the same as the dough. And that’s not what it was supposed to look like. But it did taste like a ‘Roggeverdommeke’! At school. No seriously. I am now in my final year of College and it’s so busy. But I don’t mind! I know that that’s the only way to learn and I know I’ll be ready for the ‘real world’ when I graduate. But I even think about blogging at school.